Thyas juno | Welcome, visitor! Thyas juno is a type of ‘underwing’ moth (Catocalinae) of great beauty; a kind of beauty many people will fail to notice, since the moths are very inconspicuous and look like a dead leaf. But when they are active or molested by an enemy, they will spread their wings and reveal two extremely brightly coloured hindwings, that potentially discourage or scare away enemies, because of their bright colours and eye-like patterns. Thyas juno is found in the far east (Russia), Korea, China, Japan, Korea, Thailand, Borneo, Java, Indonesia (Sulawesi), S. Moluccas and possibly more places. Interestingly it is found both in temperate palearctic climates like Russia, Japan and tropical localities such as Indonesia, Thailand. In these regions it produces one to several generations a year. It is said that it is univoltine in the coldest regions of their habitat, and continuously brooded in the tropical areas of their range – potentially overwintering as adults. However, this information is speculative and told me be by third parties – and unconfirmed to science. What I do know is that in captivity, if kept warm, the moths will be continuously brooded. 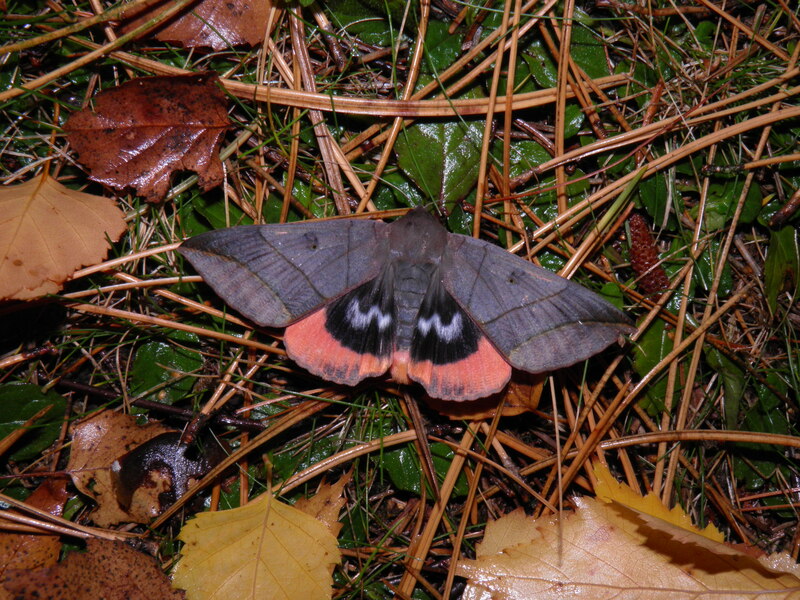 This means that if the moths overwinter, they are certainly inhibited by cold temperatures – and do not have an obligate diapause. This makes it a logical assumption to think they are continuously brooded in tropical habitats. In Russia, Japan and localities with cold winters they most likely overwinter as adults(?). Contact me if you know more about this species. The adults are nocturnal, and feed on rotting fruits on the forest floor, attracted to the volatile chemicals related from the fermentation process. Host plants: Birch (Betula), Oak (Quercus), Walnut (Juglans), Castanea, Cherries (Prunus), Alder (Alnus), Willows (Salix) – many types of deciduous trees. Natural range: Far East + Palearctic and (sub)tropical Asia: found in Russia, China, Japan, Korea, Thailand, Borneo, Java, Sulawesi, S. Moluccas. In captivity, Thyas juno is one of the Erebidae that can be bred by hobbyists. Raising them is however not considered easy for everyone. 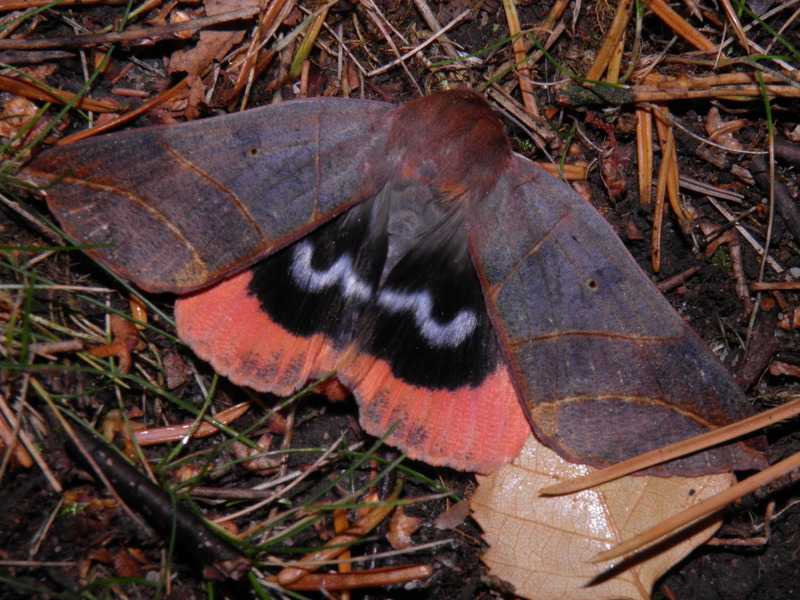 Interestingly I have been contacted by quite a lot of people that failed to raise the eggs of T. juno to adult moths. And I believe to know what the main problem is. I myself also had a bad experience with this species – all the larvae died the first time I tried to breed it – until I improved my setup. It turns out they need a lot of ventilation and fresh air: they are very intolerant of plastic, airtight boxes and excess humidity. They are susceptible to infections and will quickly die if these needs are not met. The young, hatchling larvae of Thyas juno are extremely active. They run swiftly, using their thorax and abdominal segment to take “steps” in a Geometridae – like fashion. In this stage the caterpillars must be coaxed gently unto their food plants and extra care must be taken not to crush them. 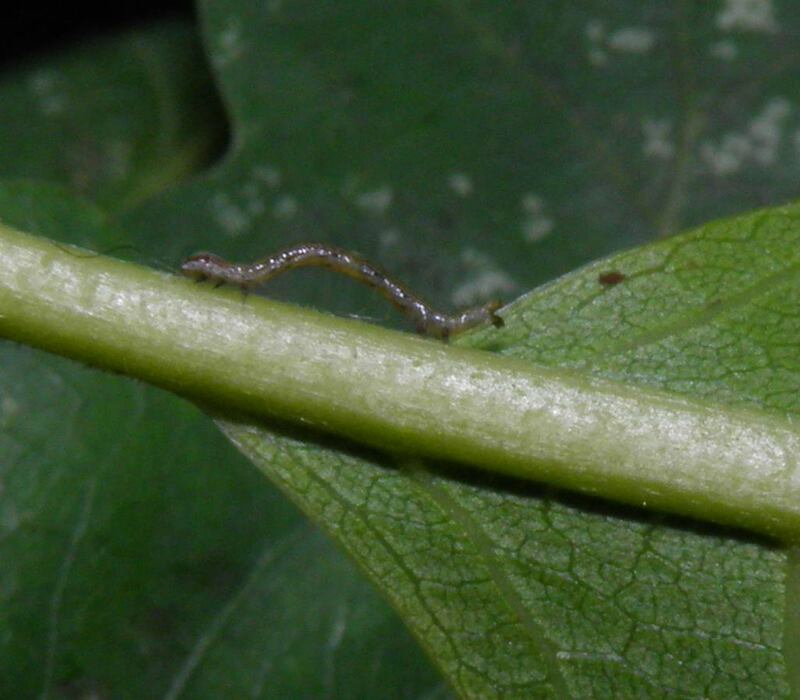 Note that when they are stressed, the larvae can drop themselves to the ground, or suspend themselves mid-air with a silk thread. These can either be raised in plastic boxes, or sleeved outside in the appropriate climate (temperate) – although they live in tropical countries it happens to be a more montane species in the warmer countries, so their preferred climate is rather more temperate. Anyways, I found the best way to raise them was to sleeve them on the host plant and to “forget” about them until they have grown larger. 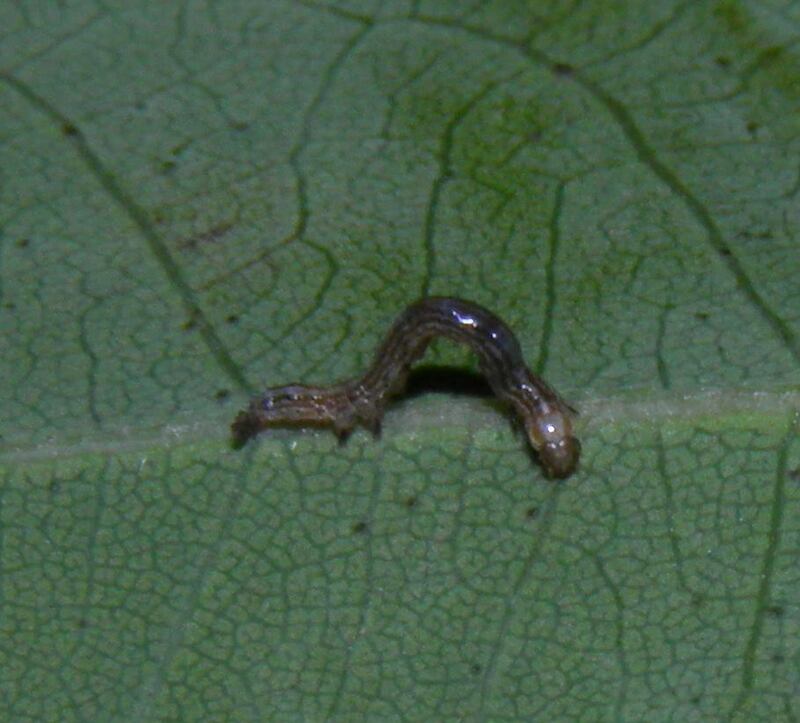 This is because of the extremely small size of the larvae, their very nervous behaviour, their fast movement speed and ability to drop themselves and the fact they can camouflage themselves extremely well against the leaf veins, makes it very hard to clean their containers and replace the food plant without any of them escaping or dieing. Because of that, the best method to raise them is “eyes on, hands off”. Try to raise them in a way where you have to touch them as little as possible, before they are atleast big enough to handle. I personally preferred sleeving them on birch (Betula) or oak tree (Quercus). Another way to raise them is in cages made from netting, with food plant in water. 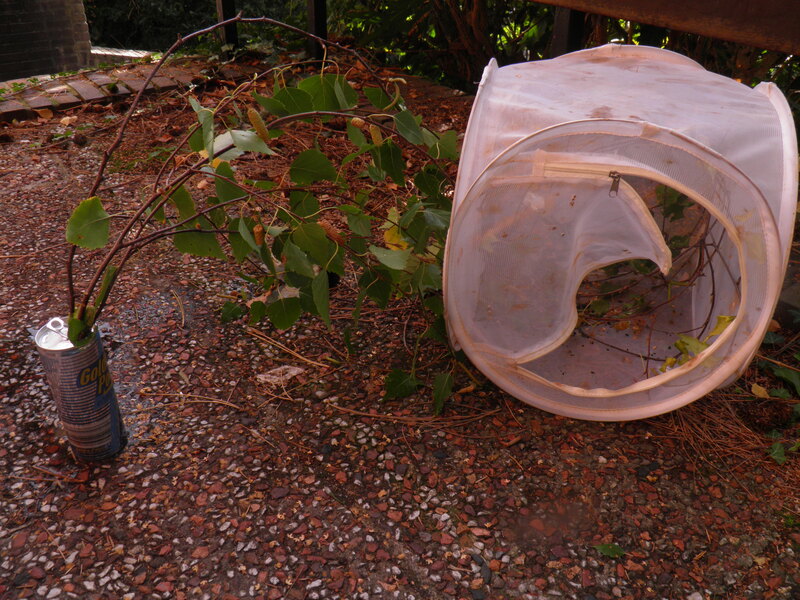 The first three instars can also be raised in plastic boxes. While I mentioned their intolerance to this before, this mainly concerns bigger caterpillars. Small caterpillars are still relatively safe in plastic boxes if you do not allow any condensation to form in their rearing containers. However, from L3 and beyond they must have a well ventilated environment for their survival to prevent infections. The later stages of Thyas juno are easier to rear because the bigger larvae are more manageable. Despite that they still require the same level of care and lots of ventilation. Below I share a few pictures of my various rearing setups; cages and sleeves that I have used to raise Thyas juno. 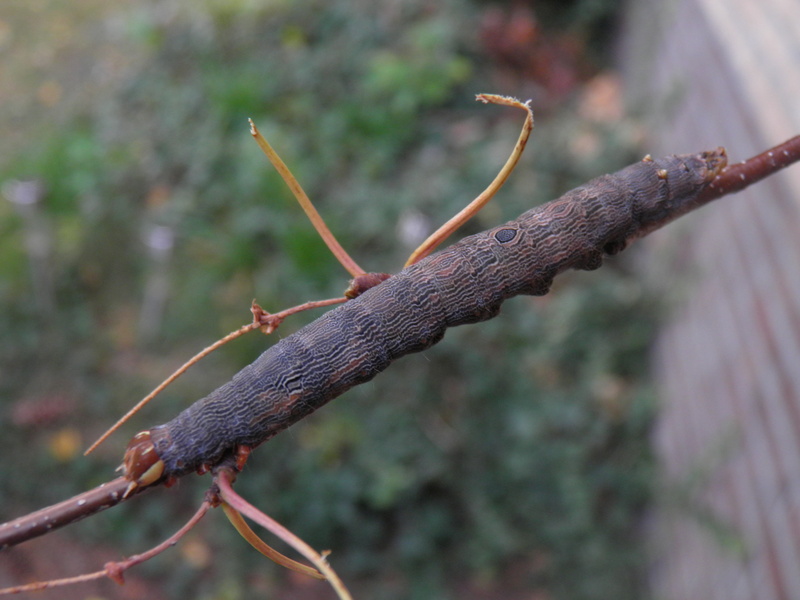 The caterpillars seem to love eating the seed pods of Betula sp. (birch). Make sure not to overcrowd them too much and provide fresh food. 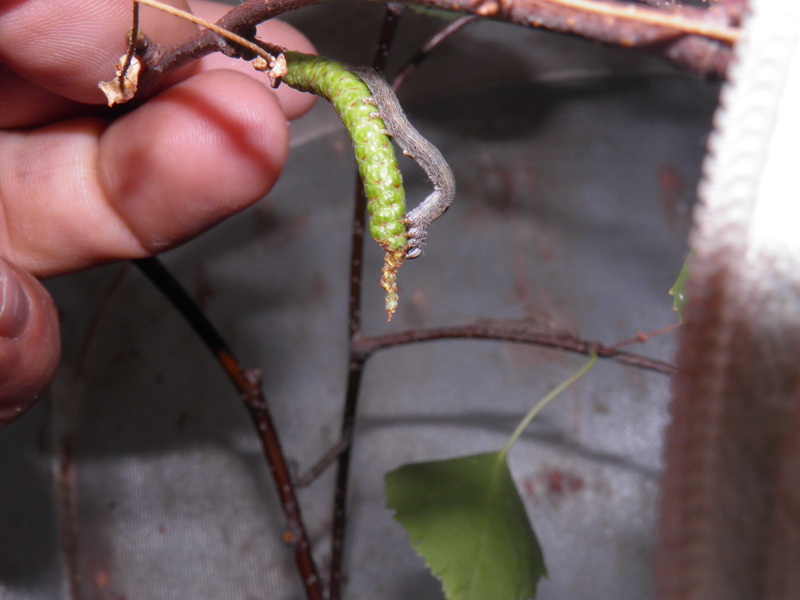 The caterpillars are well-camouflages and will also wander away from the food plant to hide themselves – in captivity you will often find them in the corner of their containers, under dead leaves or under objects. Make sure to insect the food plant thoroughly as not to discard any hidden or well camouflaged larvae by accident. 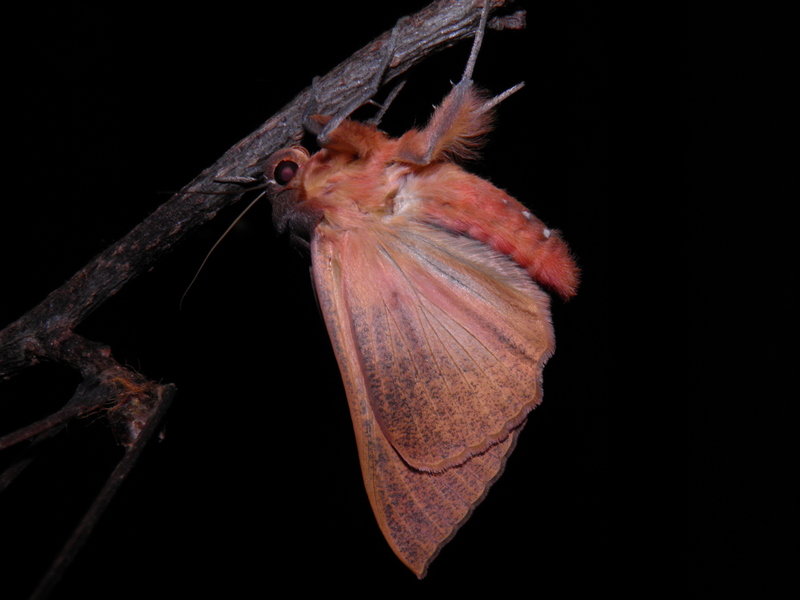 The larvae are mostly nocturnal and hide during the day. In captivity you will sometimes find them together in groups, but I suspect this is because they are in reality trying to find a place to hide, not because they are social caterpillars. 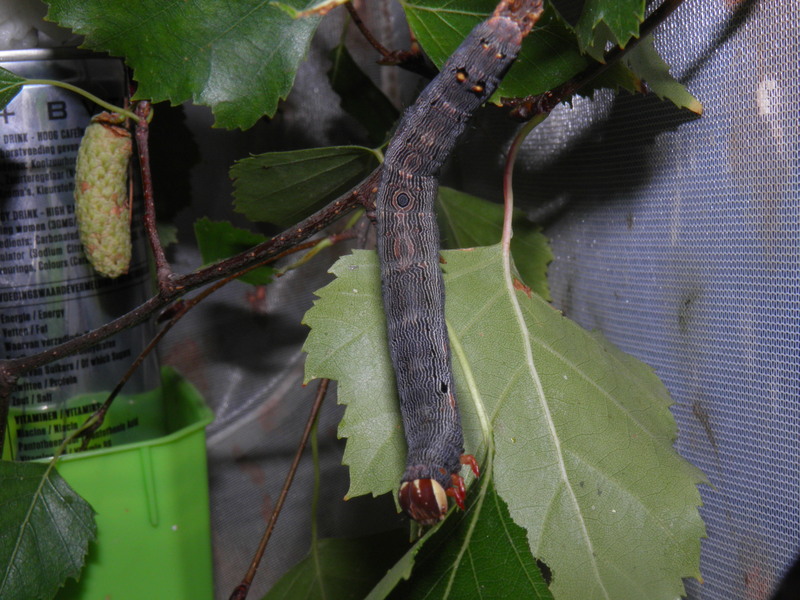 This is because the caterpillars likely hide themselves during the day, behind objects such as tree bark, cavities or deep in the vegetation. In captivity this manifests as them huddling together in groups because of a lack of hiding spots in their breeding cages/containers. They are also often found under leaves dead, their own frass, or if you use cut food plants in a bottle, below the bottle or can. 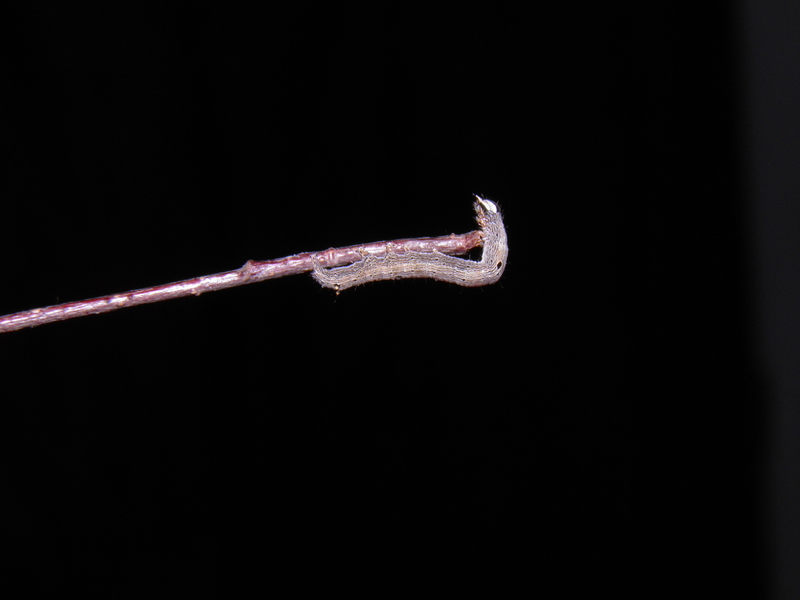 When they are fully grown, the larvae spin cocoons. Their cocoon construction is however rather ‘lazy’ in the sense that their usage of silk is very minimalistic because they use their silk to incorporate objects in their cocoons. 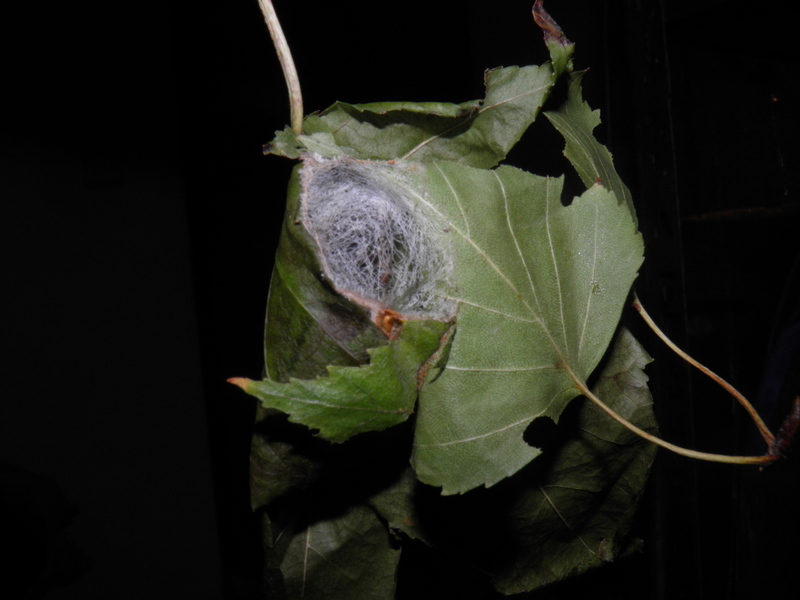 Most cocoons are spun between leaves on the floor or against a vertical surface. While using a minimal amount of silk they are well-isolated and camouflaged by using leaf litter or tree bark to hide themselves. 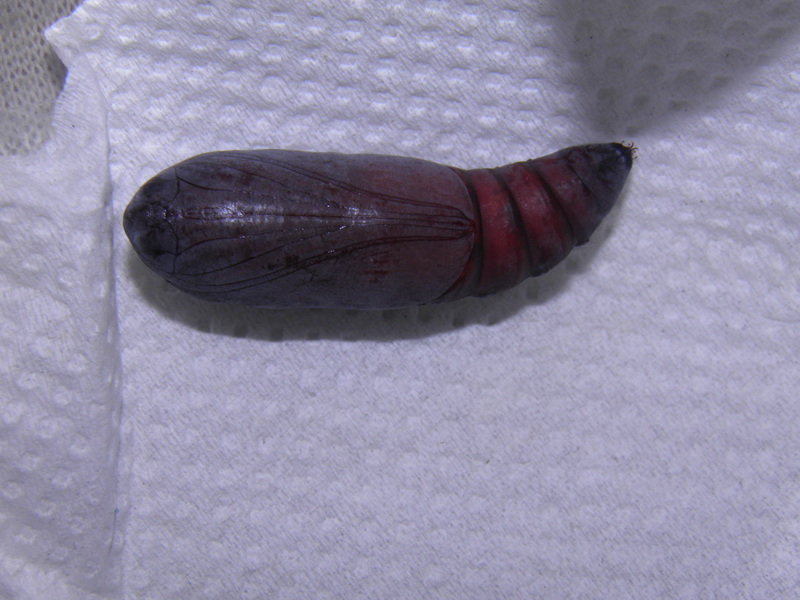 After cocooning, the larvae pupate into wine-red pupae. 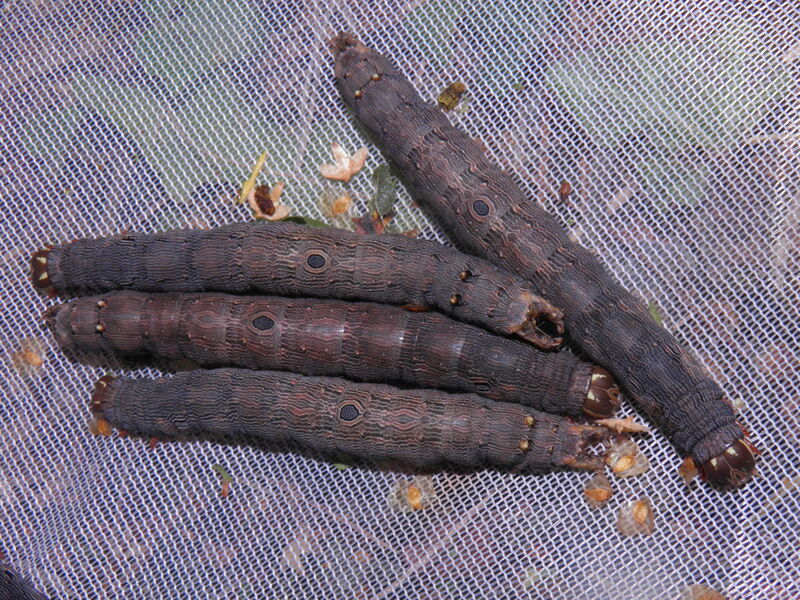 These pupae hatch relatively fast; in about 1 to 2 months on room temperature. 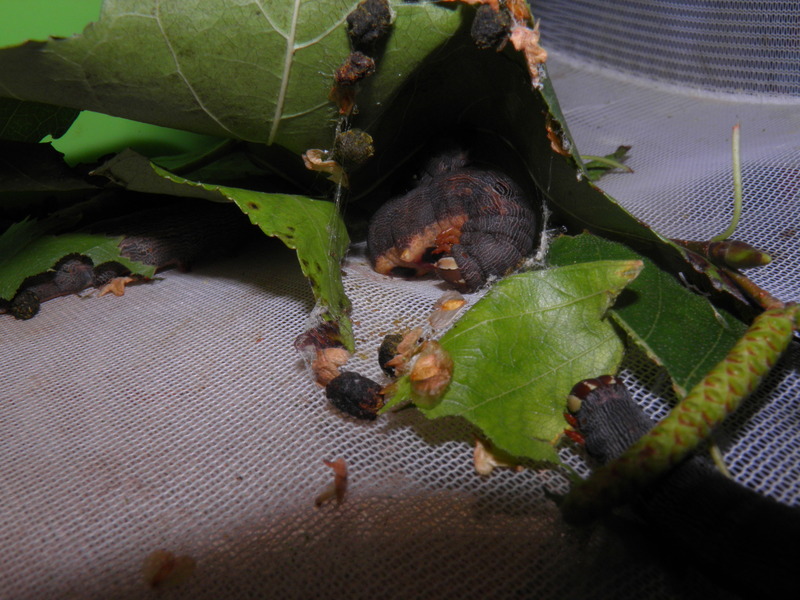 After a short time, the adults hatch from their cocoons. Taking care of the adults is rather straightforward – the most important thing is to feed them well. 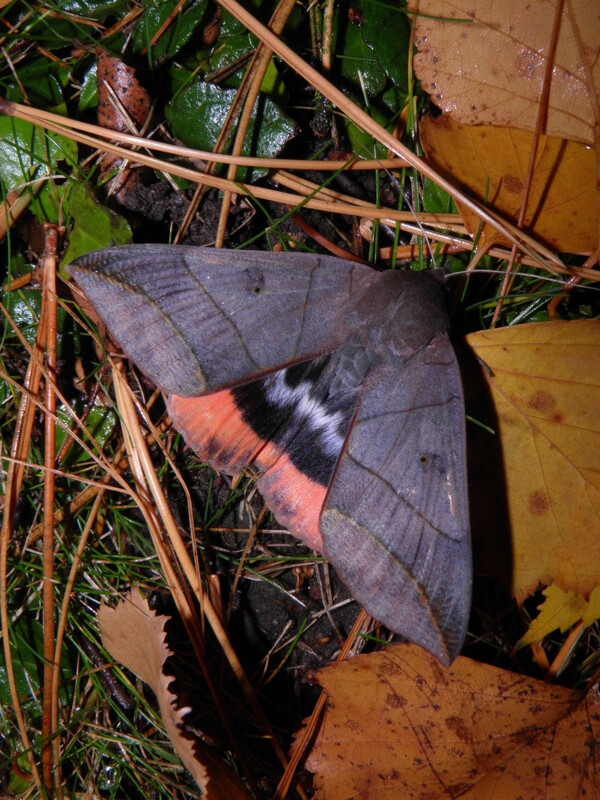 These moths have a longer lifespan and feed on fruits. Suitable are non acidid fruits (not lemon or orange) that are rich in starches and sugar, to promote the fermentation process – kiwi, banana pear or prunes for example. While they prefer decomposing, fermenting fruits they will also feed on fresh fruits. It is best to cut it into pieces and offer them sliced fruit, since Thyas juno may have trouble piercing the skin of the fruits to drink from the juices. They can become relatively old – a few months in fact – if well fed. Reproduction is straightforward. 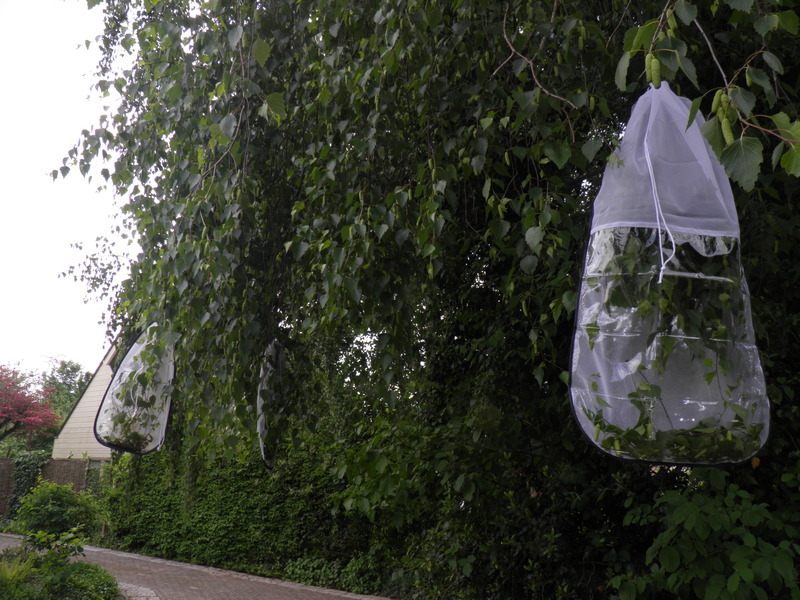 In medium sized cages the moths will pair and lay fertile eggs. They do not seem to need any food plant to reproduce in captivity, and they will lay their eggs randomly and scatter them over the walls of the cage. However, if provided food plant they may prefer to lay their eggs on this instead of random surfaces. Be careful when handling these moths; they have a big stress response – if touched or disturbed, they will drop themselves to the floor and bounce wildly by flapping their wings and jumping. This makes them quick to escape and may also make it difficult to catch any individuals that have broken free from their cage. Their wild behaviour and wing flapping may also damage their wings if they are grabbed or restrained. Thus, handfeeding is not recommended.